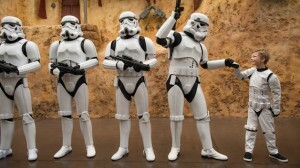 For any Star Wars fan, Disney’s Star Wars Weekends is the ultimate immersive and interactive experience. You can surround yourself in Star Wars with all kinds of entertainment, from talk shows and motorcades to night time fireworks, celebrity appearances, rides, dining opportunities and even a Jedi training academy for the little ones! 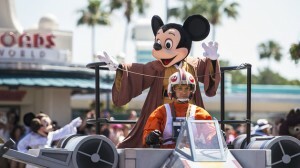 Star Wars Weekends kicks off at Disney’s Hollywood Studios May 15 and runs through June 14, and we’ve got the inside scoop on all intergalactic fun! Disney is known for sparing no expense and missing no detail when it comes to their special events, and Star Wars Weekends is no exception. You’ll encounter a duo of troublesome Stormtroopers as you arrive at the park, and they’ll be readying a welcome dark side surprise. Their mission quickly shifts from “keeping the rebel scum out” to a presentation commemorating the official beginning of Star Wars Weekends at Disney! You’ll also catch Boba Fett patrolling the event stage, as well as groups of Stormtroopers investigating and “interrogating” unwary guests. There’s also a Star Wars trivia challenge, a Star Wars character motorcade and “Symphony in the Stars,” an interstellar fireworks show to round out the day. Depending on which weekend you decide to go, you’ll be able to meet some of the Star Wars’ universe’s most famous characters and the actors who portrayed them in the movies! There will be appearances by Peter Mayhew (Chewbacca), Ray Park (Darth Maul), Ian McDiarmid (Emperor Palpatine) and others! Your little ones can learn to use the Force at this 20-minute training academy that will prepare them to confront the Dark Side of the Force. Kids between the ages of 4 and 12 will don a brown robe and pledge the Jedi Oath under the tutelage of a Jedi Master. When there is a disturbance in the Force, Stormtroopers arrive with Darth Vader behind, and your young Jedi is put to the ultimate test against the Dark Lord of the Sith! 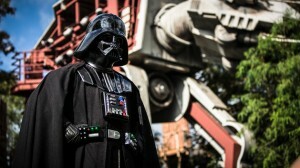 Will you be at Star Wars Weekends at Disney this year? Have you been before? What are you most excited about? Let us know in the comments below! Don’t forget to visit VillaDirect.com for Orlando’s best deals on Disney-area vacation rentals. Save 40-60% over Orlando hotels!